Develop harvest strategies for all key tuna species. Strengthen monitoring, control and surveillance (MCS) measures to support data collection, including addressing the possible use of small class purse seine vessels as supply and tender vessels. Strengthen fish aggregating device (FAD) management through science-based measures. Increase the observer coverage requirement for longline vessels and adopt a binding measure for the safety of human observers. Strengthen the IATTC compliance assessment process. “ISSF was pleased that last year the IATTC Commission adopted a 72-day fishery closure to avoid increased fishing mortality, following the scientific advice, and instituted a requirement for the use of non-entangling FAD designs as of January 1, 2019,” said ISSF President Susan Jackson. “However, there are still critical issues that IATTC left on the table last year, including increased observer coverage for the longline fleet and smaller purse seiners, safety measures for observers at sea, strengthened conservation measures to protect sharks and adopting best practices for releasing sea turtles, such as those ISSF has been advancing through our Skippers Workshops and Guidebooks. The establishment of a dedicated working group to foster the dialogue between managers, scientists and other stakeholders to facilitate the development and adoption of comprehensive, long-term harvest strategies. Increase observer coverage on longline vessels to 20%, as has been recommended by the Scientific Staff for the last three years. 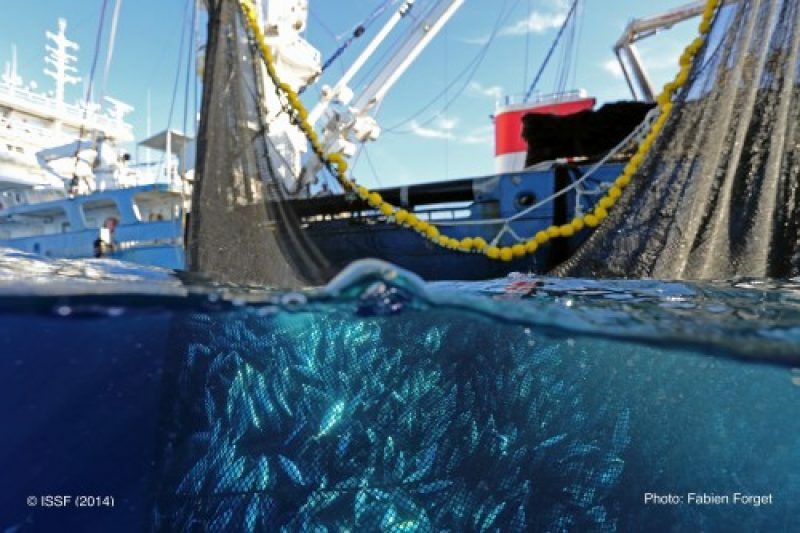 Develop electronic monitoring and reporting standards for both longline and purse seine vessels to ultimately achieve 100% observer coverage: (1) in the longline fishery and (2) for all vessel classes in the purse seine fishery. As part of ISSF’s commitment to provide information and resources for RFMOs, vessel owners, ISSF participating companies, and governments that facilitate the application of science-based approaches, ISSF will again host a side event at the start of the annual IATTC meeting. The event — Progress in Addressing Current Challenges with FAD-related Conservation Measures — will feature presentations from Dr. Victor Restrepo of ISSF and Dr. Cleridy Lennert-Cody of IATTC. Dr. Lennert-Cody’s presentation will include recent purse-seine FAD fishing strategies in the eastern Pacific Ocean, FAD limits and the need for more quantitative research on FAD deployment and FAD usage. Dr. Restrepo’s presentation will focus on electronic monitoring, an emerging field which has been developing rapidly during this decade, with high potential for comprehensive fisheries monitoring, including for FAD management.